JAMESTOWN – The Jamestown City Council’s Public Safety Committee Monday night will be reviewing details of the city code as it pertains to outdoor events that feature amplified music. 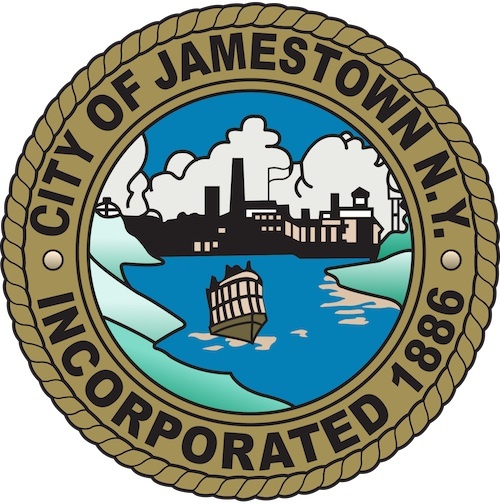 During last week’s committee meeting, city councilwoman and committee chairwoman Maria Jones (D-Ward V) said downtown resident Gary Templin raised his concerns about outdoor events in downtown Jamestown being in violation of a city ordinance. “He said the city is in violation of two zoning ordinances, which prohibit outdoor entertainment and amusement in the Jamestown downtown area. He’s concerned about that, and why we are allowing these public events [to take place],” Jones said. The Public Safety Committee is responsible for reviewing and approving all special event applications in the city. In addition, Jones said that Templin also raised concern about the city not properly collecting special event fees from the Jamestown Renaissance Corporation for the various events that it holds downtown. Specifically, he said the city isn’t collecting event fees for each individual event sponsored by the JRC, and instead lets the organization pool a series of events into a single application. As a result, Jones said that Templin claimed the JRC hasn’t paid $7,000 in fees. Jones disagreed with Templin’s charge. “It doesn’t come to the public safety committee that way and so I question that it actually happens the way he says, but we’ll go through those applications and try to find what he is talking about,” Jones said. Besides his concerns about city code violations and the collection of event fees, Templin also expressed concern over the rise of tax exempt properties in the downtown Jamestown area during the past few decades and illustrated his point by showing a map highlighting tax exempt properties from the 1970s compared to a map of tax exempt properties today. Jones said Templin’s concerns will be discussed further during Monday night’s Public Safety Committee meeting, which begins at 7:15 p.m. in the Police Training Room on the 4th floor of city hall and is open to the public. In addition, the city council will also hold a full work session at 7:30 p.m., which is also open to the public. This is heartbreaking to hear people complain about the few free to the public music events held in our city! These events are open to all ages and are family friendly! These events are positive social and community gatherings that I believe help conquer our poverty issues . People of all backgrounds and financial status can gather to enjoy the beautiful art and music of our local performers. It’s a real shame for people like me if these events were to end! I have 5 children who look forward to attending every live music performance held down town each year!